Hey VivaBellas! Hope you’re having a good weekend so far. I know some of you are traveling as you’ve mentioned on my Facebook page. So did you buy anything from the airport or do you plan to buy something when you return? 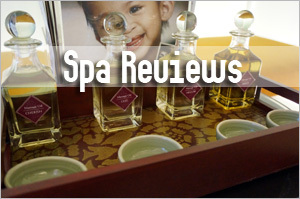 I wanted to check out some items at Perfumes & Cosmetics in Changi Airport prior to leaving for my last trip but you know what, I never got down to it. Actually, it sounds kind of strange to want to buy something prior to leaving for a trip isn’t it? 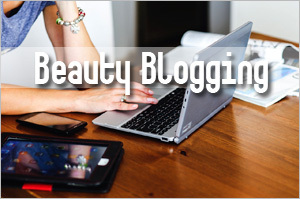 But it’s not so if you consider the substantial savings you’ll get to enjoy off your favorite beauty brands. Well, I know there are some cost savings such as the absorption of the 7% GST but I didn’t really know that the prices at the Perfumes & Cosmetics outlets are up to 40% lower than the downtown stores until I was officially briefed about the beauty offerings at Changi Airport. Additionally, shopping at the airport comes with 100% money back guarantee and prices are also guaranteed to be no higher than those found outside the airport. So if you buy something more expensive at the airport, you can get a refund at 2x the price difference. Plus, if you are a member of the Changi Rewards program, you will earn points for every minimum spend of S$10 in a single receipt at the airport outlets or eateries and these points can be redeemed for Changi Airport Dollar vouchers. Don’t you think the advantages of shopping at the airport are totally awesome? In fact, you don’t even have to wait till you travel to enjoy these advantages and savings because you can shop at Perfumes & Cosmetics outlet located on the public / non-restricted areas of all three terminals. 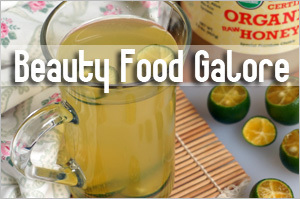 No wonder some women will make a trip down especially for their beauty loots at regular intervals! 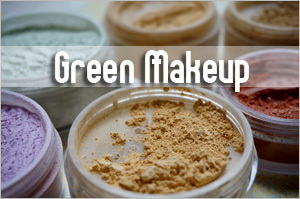 I checked out some of the items and they are indeed much cheaper. 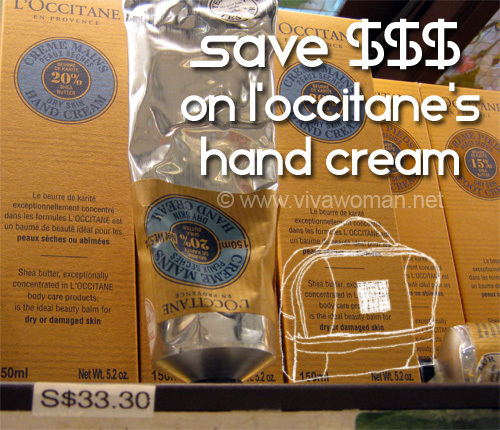 If I remember correctly, the L’Occitane hand cream retails for around S$42 the last time I checked. Over at the airport, it is just S$33.30. 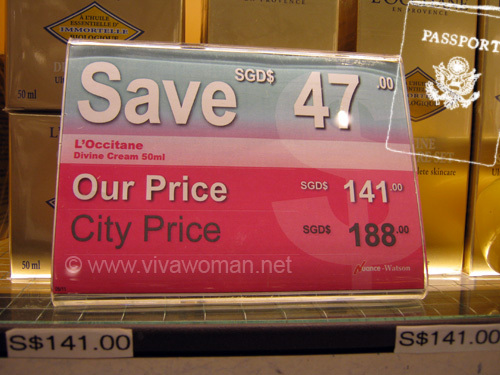 And as you can see, you can save S$47 if you buy the L’Occitane Divine Cream here compared to the stores in town! That’s substantial! I can’t quite remember the price of the Jurlique hand cream at the stores; think it is around S$38 ~ S$40 but it is definitely nothing close to S$30.20 that you can get at the Perfumes & Cosmetics outlets. Anyway, you can look up Nuance Watson’s website for a comparison of the prices. 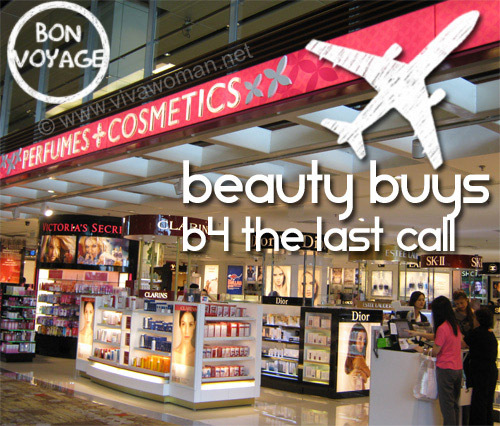 Apparently, the Perfumes & Cosmetics outlets here are lauded as THE beauty launch pad in Asia Pacific airports. 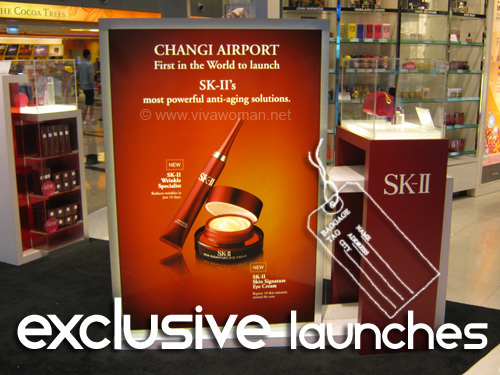 Examples include SK-II’s new product, the Skin Signature Eye Cream. Based on my understanding, it seems this product will only be available Perfumes & Cosmetics outlets at Changi Airport. 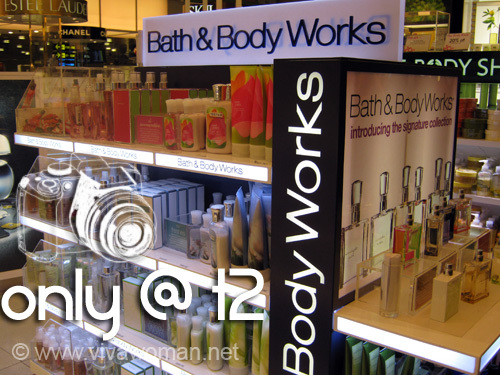 The other is Bath & Body Works, which you can find at the Perfumes & Cosmetics store in Terminal 2 Departure Transit Lounge only. 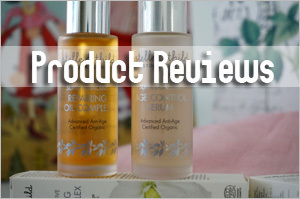 So you don’t have to travel all the way to US just to grab some of your favorite products from the range. 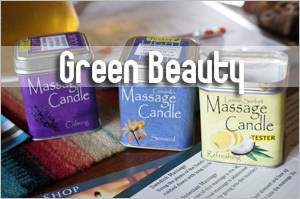 Other than the Perfumes & Cosmetics outlets, you can also get a host of beauty and wellness treats prior to your departure from the airport – such as massages, foot reflexology, manicures and pedicures. 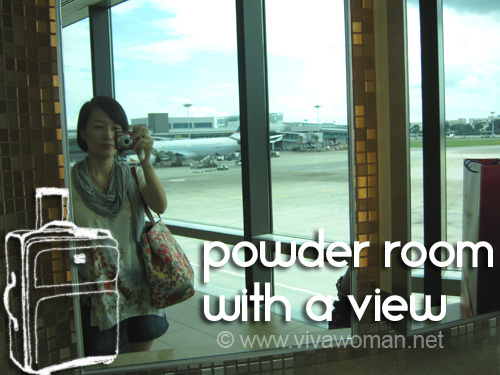 Changi Airport also has hidden beauty gems like this powder room, a place for ladies to freshen up in-between flights, and it comes with a view of the aircrafts. I was not exactly enamored with the view but it is quite a novelty. 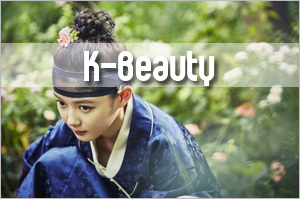 And if you’re not really into beauty products or treats, you have a choice of fashion stores and boutiques to check out. I shan’t share the list here but you can always look them up on the website. Changi Airport turns 30 this year and as part of their celebration, they are offering 30 weeks of shopping promotions. 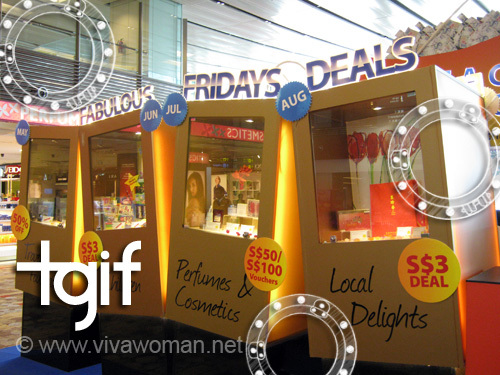 One is their ‘Be a Changi Millionaire’ draw and the other is the ‘Fabulous Fridays’, a shopping program that features weekly deals at incredibly discounted prices for branded electronic products such as iPad 2, beauty products, luxury fashion and watches, amongst others. 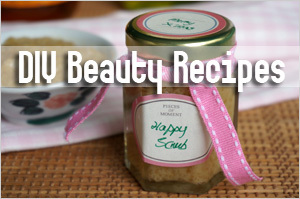 Again, you can find the details at their website but essentially, with these two promotions, shoppers can savour great bargains at steep discounts, and at the same time, enjoy the thrilling prospect of winning a million dollars! So what are you waiting for? When you spend a minimum of S$30 in a single receipt at Changi Airport from now till 30 November, you have a chance to win the grand prize of S$1 million! 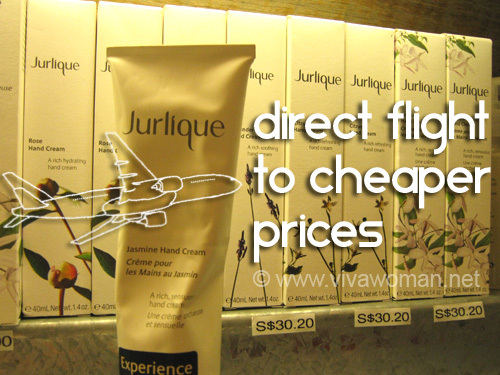 So if you are planning to travel or planning to stock up your beauty items, consider the Perfumes & Cosmetics outlets at Changi Airport for great savings. And for those who are flying off, you can buy your stuff, leave it at the store for safekeeping and collect it when you return to Singapore. That way, you get to enjoy the savings and yet, do not have the burden of lugging your stuff to your destination country and back. 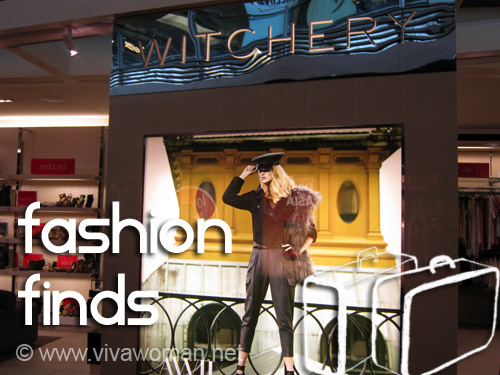 For more pictures of the beauty and shopping offerings at Changi Airport, check out the Viva Woman Facebook Page. Previous Post: « Help…the hungry fish are eating away my feet! Unfortunately, still not comparable to Sasa in HK. Okay, granted. Sasa in HK is cheaper so good to be able to get stuff there when one gets the chance (or online store if one is comfortable). They also have a wider range. Wow! Thanks for this! That’s about the same price as buying from Europe and claiming VAT. Yeah, it is comparable for some of the brands so worthwhile to check out instead of buying from Europe. 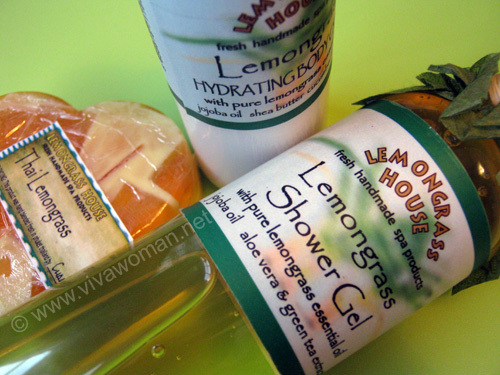 A gf gave me the Blackcurrant Vanilla and Mandarin Lime body washes from Bath & Body Works and these smell and feel amazing. They are supposedly “natural”, and the ones with older packaging are 50% off. I’m going to see if they’ve marked down the Eucalyptus & Mint massage oil, which I want to use as a midday reviver or for nasal congestion or asthma/cold relief. Otherwise, your post does make me wish I lived closer to Singapore to take advantage of airport bargains on L’Occitane and Jurlique! I didn’t really have time to check out the range. Not sure about them being natural…I thought they’re not. 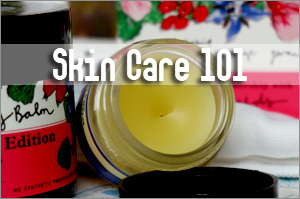 I thought L’Occitane might be quite attractively priced in US no? Jurlique yup cos we’re afterall nearer to Australia. but first you gotta be traveling to get into transit to enjoy these prices right? 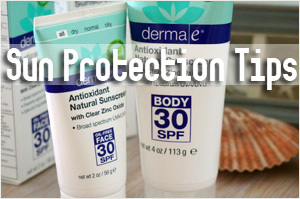 You can also get the products at the P&C in public areas too. Understand that some ladies deliberately travel all the way down to buy cos of the savings.